Thank you so much for everyone who continues to support us each week and ‘Hello’ to the recent people who have joined us. I hope you are all enjoying reading the posts as much as we are. Thank you also to everyone who linked up to mine & Victoria’s other Linky Today’s Moment In Time which is a photo based linky. It’s open until Wednesday night so pop over and link a couple of pictures from your week. So to get onto this week linky. We open at 07.00am on Monday morning and close at 12.00 on Friday night.Remember to Tweet us when you have linked up for a RT. We love to read blogs about things that matter to people; whether it’s something your child did that meant a lot or a political event on the world stage, from the smallest of details to the grandest of hopes, if what we write about means something to us its light shines brightly. We wanted to create a Linky to showcase those posts, to make sure that those posts which mean the most to us are seen and read, and this is the result of that dream. Whether you’re here to link up, or here because you like us you love to find out what people care about, welcome and thank you for joining us. Each week, we’ll read, comment and StumbleUpon each post as well as each choosing our three favourites to highlight the following week. Remember, as Mrs Christmas likes to say ‘If you give extra kisses, you get extra love’, the more you put in the more you will get out. You may link up a maximum of two posts, old or new, as long as they are about things which matter to you. Please comment on any four new posts which you feel relate to you. There’s no obligation to comment on ours, they are no more important than any of the other posts people have linked up. 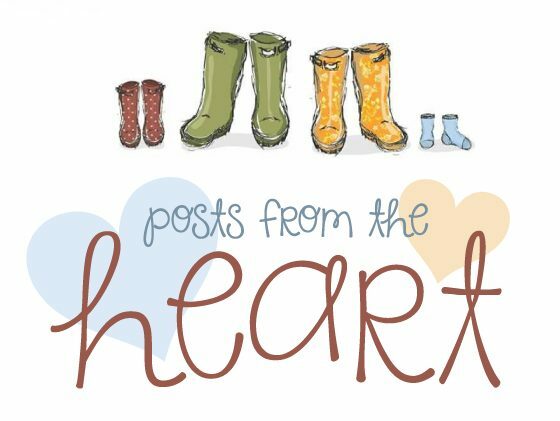 Please use #PostsFromTheHeart in your comments, that way people know where you have found their post. We would love it if you would add the badge if you have any problems doing so please get in touch and we’ll try our best to help. If you would like us to retweet your posts (which we would love to do) please tweet them to @2ndtimeMama and @MotherUnnatural using #PostsFromTheHeart. If you decide to sign up we’ll add you to our email list, and drop you a quick message to remind you when the Linky Opens (every Monday Morning). "POSTS FROM THE HEART #8 – FAVOURITES"
"Posts From The Heart #9 – Favourites"